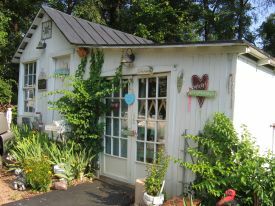 I had my earth bound shop for 17 years and during that time many of my customers became good friends. However, times change and you must change with them. This sweet building that you see here has gone from a dilapidated 1928 lean to where the owner worked on cars and threw many of the old parts under the gabled portion of the building, to a thriving shop where I held open houses, classes, teas. Now it houses my vintage items to be sold and items that are listed online in my Etsy shops. I have a varied and unique collection of items for sale, from handmade to vintage and antique. My Etsy shops — BittersweetDesign for Handmade, and MissingHeirloom for Vintage — reflect that variety, as will my online shop here. I am working on adding items as you read this. Every item that leaves the doors of Bittersweet Design Studio is lovingly packaged. Let me know if your item needs extra special attention. I am thrilled that you are here and I hope you find something you can't live without! 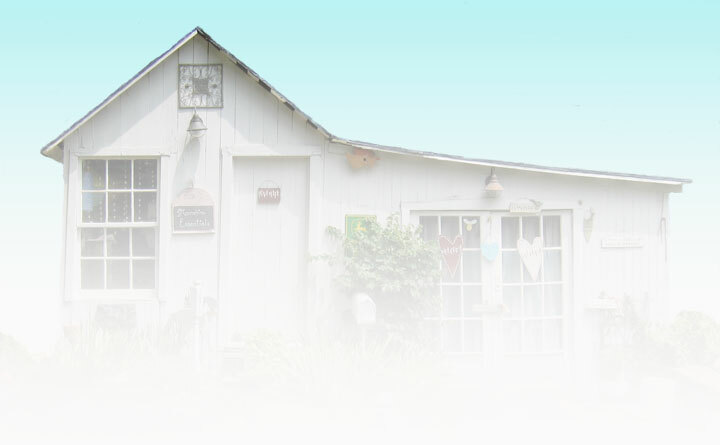 You can find my items year round at It's Bazaar on 21st Street in Purcellville, Virginia. Thank you again for visiting! Stay a while and check out the tabs above.